Small Estate Affidavits | The Law Offices of Eric A. Rudolph P.C. When your family member or friend passes away and leaves an estate that is valued at less than $150,000 their estate most likely does not need to be probated. You can utilize thes mall estate affidavit to collect your loved one’s assets for the beneficiaries or heirs of the estate (either named in the decedent’s last will or the legal heirs under California law). You do not need to file any documents with the probate court when the small estate affidavit procedure is used. However, you cannot use the small estate affidavit procedure until at least forty (40) days have elapsed since the date of death. The assets that are included to determine the $150,000 limit and when a small estate affidavit can be used instead of a full probate proceeding are: bank accounts, brokerage accounts, retirement accounts, stocks, bonds, real property (valued at $50,000 or under), and personal property the decedent owned in his or her name only. The value of the decedent’s assets is determined as of the date of death, even if the affidavit is signed years later. While a small estate affidavit might be the easiest, least expensive way for you to handle your loved one’s estate, a small estate affidavit is not right for every situation and may or may not be a viable option. 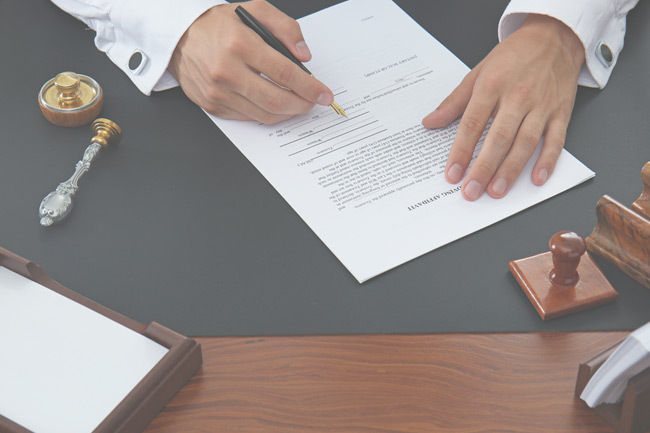 It is important to get the advice of an experience estate planning attorney before deciding whether or not to use a small estate affidavit to handle your loved one’s estate. The Law Offices of Eric A. Rudolph P.C. can help you decide if the small estate affidavit is right for you. And if it is right for you, we can help you prepare the necessary documents needed to settle your loved one’s estate.